Positive form: Am / Is / Are + Subject + Object + ? i.e. (for example) Am I a good accountant? Subtitles sous-titres 字幕 Untertitel उपशीर्षक sottotitoli 字幕 napisy na filmie obcojęzycznym legendas субтитры subtitulos altyazılar. to present you with more examples and give you an understanding of the theory. see you a little later in our recap video bye for now. Learn how to use the present tense correctly in English in the affirmative form. I am a builder. – I work as a builder. Am I a bad builder? – Am I not a good builder? – Aren’t I a good builder? You are a cleaner. – You work as a cleaner. Are you a bad cleaner? – Are you not a good cleaner? – Aren’t you a good cleaner? It is a good job. – Is it a bad job? – Is it not a good job? – Isn’t it a good job? He is a dentist. – He works as a dentist. Is he a bad dentist? – Is he not a good dentist? – Isn’t he a good dentist? We are doctors. – We work as doctors. Are we bad doctors? – Are we not good doctors? – Aren’t we good doctors? You are engineers. – You work as engineers. Are you bad engineers? – Are you not good engineers? – Aren’t you good engineers? They are electricians. – They work as electricians. Are they bad electricians? – Are they not good electricians? – Aren’t they good electricians? I work as a I work as an…. Verb to be questions using the negative form: Am / Is / Are + Subject + not + Object + ? Verb to be questions using the Negative form: Aren’t Isn’t + Subject + Object + ? 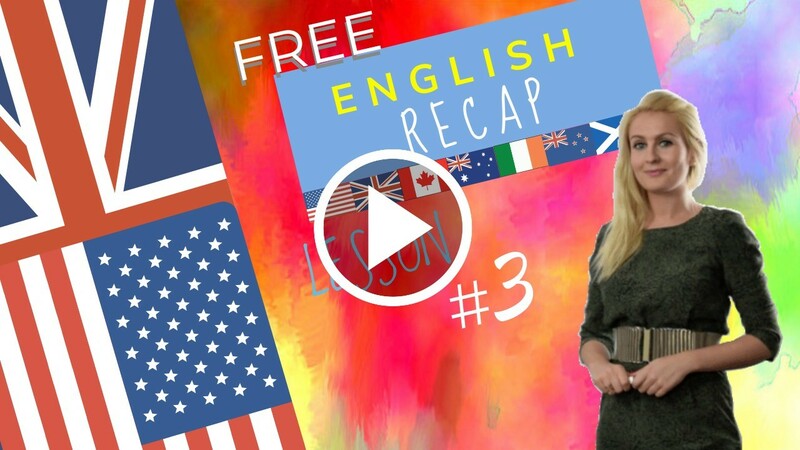 English Lesson 3 Recap with your English Teacher Julia. Hi guys! Welcome back! Let’s do the recap together of lesson three! In this recap video, I’m going to cover three points. First of all, a pronunciation point, then we’re going to look at sentence structure together and then we’re going to review a grammar point. So the pronunciation point of today is a silent letter. In English we have different combinations of sounds, whether vowel or consonant sounds. And we also have lots of silent letters. So we’re going to look at those silent letters in different stages. There’s one word in today’s dialogue which is “builder”. Don’t forget that the “U” is a silent letter! It is just like in the following words that will appear on the screen: “biscuit”, “build”, “guard”, “guest”, “guitar”, and “guilt”. Get used to their pronunciation because English spelling isn’t very helpful when it comes to indicating how to pronounce a word. You just have to bear that in mind when you’re learning new words. Try to always transcribe the word phonetically. Try to remember its pronunciation by writing how it sounds to you. It is like a simplified phonetic transcription. Repeat those words many times and practise writing them too! The plural of nouns is quite straightforward. We normally add an “S”.